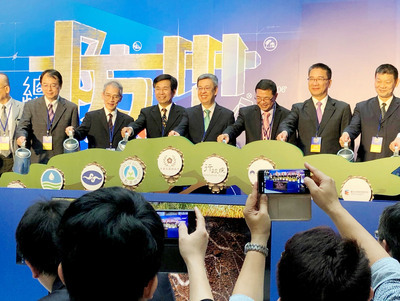 Taipei, April 23 (CNA) Damage to the Asia-Pacific Cable Network 2 (APCN2) undersea cables is slowing internet access to websites around the world for users in Taiwan, and the disruption could last for up to a month, Chunghwa Telecom Co., Ltd. said on Sunday. In a statement posted on its website, the company said access to websites in Europe, the United States and Japan is being disrupted and it will take up to one month before repairs to the cable can be completed. APCN 2, a submarine telecommunications cable linking nine countries in the Asia-Pacific region -- including Taiwan -- to the rest of the world online suffered a cable fault at 7:08 a.m. on Saturday that was probably caused by fishing operations or erosion, the statement said. The fault has caused Internet traffic to be rerouted to other backup undersea cables, resulting in slower connections for some users in the region, according to the statement. A spokesman for the company said it has contacted one of the world's three companies that have submarine cable repair ships, but the contractor will not be able to fix the damaged cable lines until May at the earliest. The damaged cables have caused issues for many internet service providers (ISPs) in the U.S. and Japan, including YouTube, imgur, Twitch and DMM, according to internet users.